1. Make sure the pan is hot and sizzling with oil before you pour in your pudding batter–this is a grown-ups job though as the pan has to be really hot. 2. Let your batter rest for at least 30 minutes before you cook it–this allows the flour to properly absorb the liquid so you get a better textured pud that should rise. 1. Put the milk in first, and then all the other ingredients. 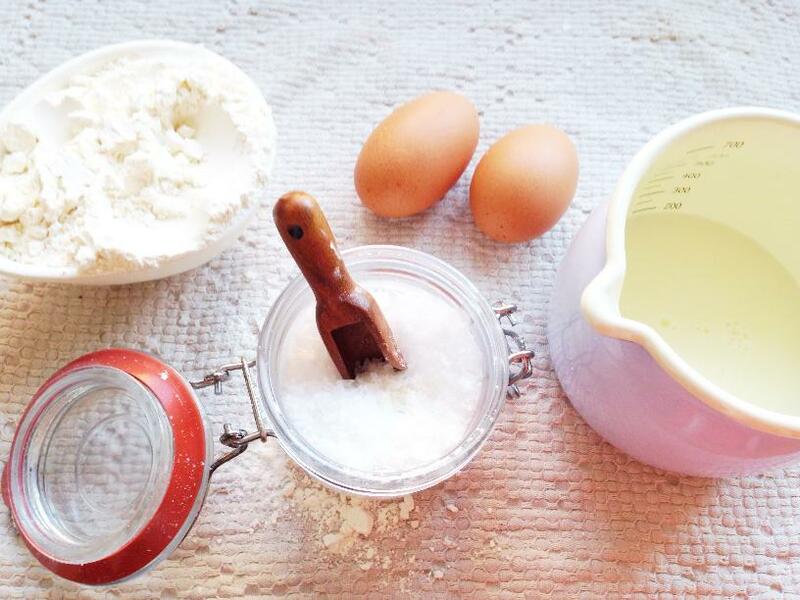 Whisk until your arm feels like it might drop off and all the lumps in the mix are gone. TIP: Try swapping arms when one starts to ache, or get a grown-up to help you for a few minutes. 2. Either leave your mixture at room temperature for 30 minutes, or leave it in the fridge for longer. 3. Heat your oven to 220c, 425f, gas 7. 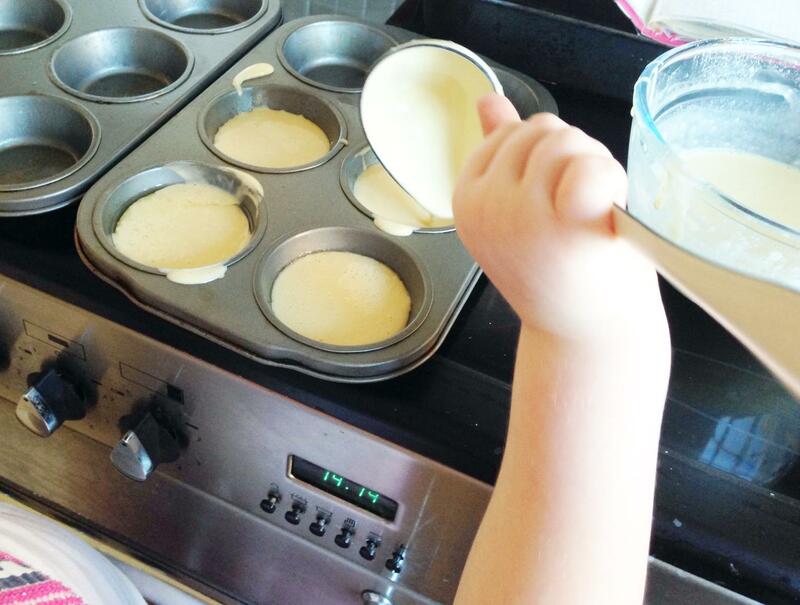 Pour 1/2 tsp of oil into each muffin well and put the tin into the oven–this is so the oil and pan can get hot. 4. Once the oven is up to temperature (usually the pan will have been in there for around 15 mins) get a grown-up to take the pan out. Pour your mix into each hole, about 3/4 of the way up. Be careful, as the oil and pan are super hot–the oil may start to sizzle. 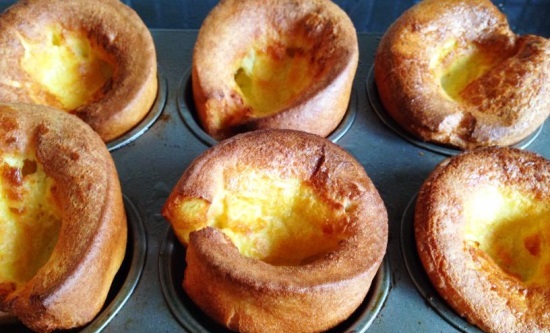 Why Are Yorkshire Puddings Called Yorkshire Puddings? Honest answer: we don’t really know! Batter puddings were popular all over Britain hundreds of year ago, and people from the North (where Yorkshire is) would put them underneath the meat that was cooking. 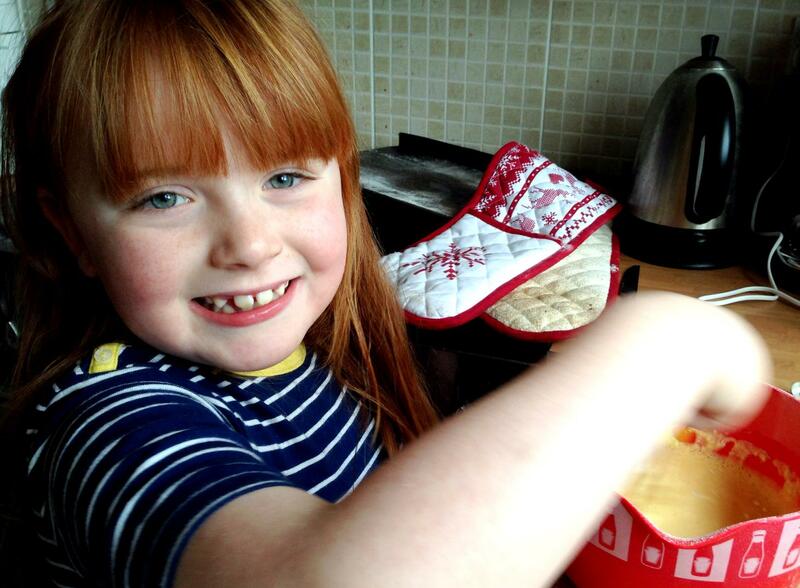 The pudding would then catch any drips of fat from the meat and it would make the pudding tastier and more crisp. 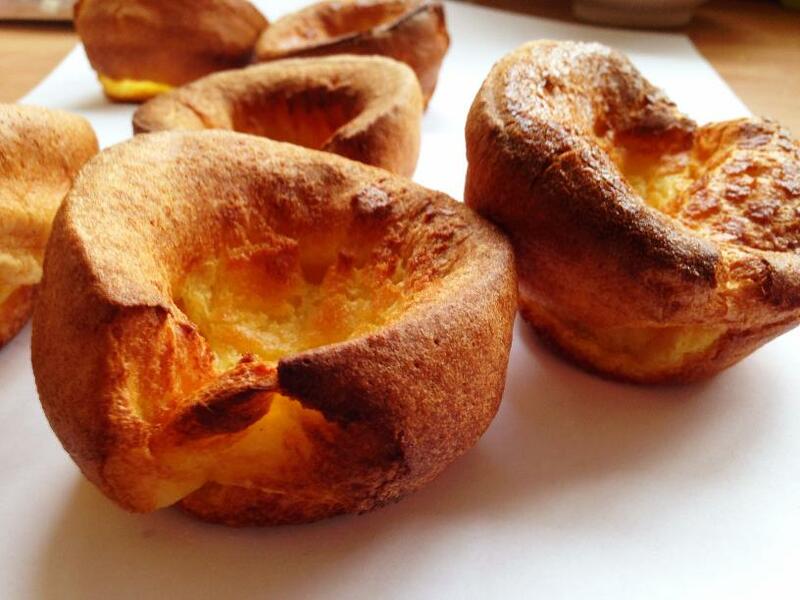 The Yorkshire pudding was referred to first by a Northern writer called Hannah Glasse in the 1700s. So it could be that Yorkshire folk were better at making batter puddings than anyone else, or it could just be that this Northern writer wrote about them first, and claimed them for Yorkshire.